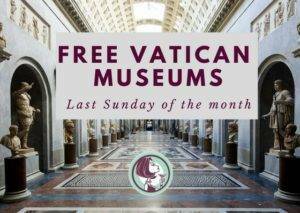 Last Sunday of the month Vatican Museums are free!! The free entrance time is: 9:00 – 12:30 Closing 14:00. It’s not possible to make reservations for the free entry. Sunday, October 28th, November 25th, December 30th. The world’s largest art collections since they exhibit the huge collection of artwork accumulated over the centuries by the popes. 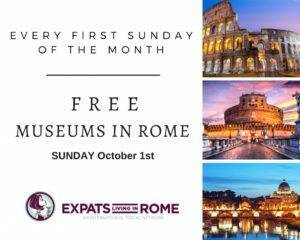 The museum was founded by Pope Julius II in the 16th century. The Sistine Chapel and the papal frescoes painted by Raffaello are part of the works that museum visitors can admire in their path. 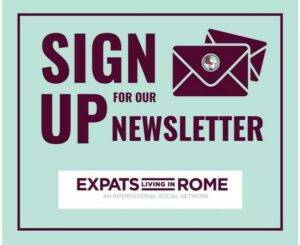 The Vatican Museums, which occupy much of the vast courtyard, were visited in 2008 by 4,441,734 people, confirming it as the most visited “Italian” museum, although it should be remembered that it is not exactly such that it is located in non-partisan territory Italian Republic.